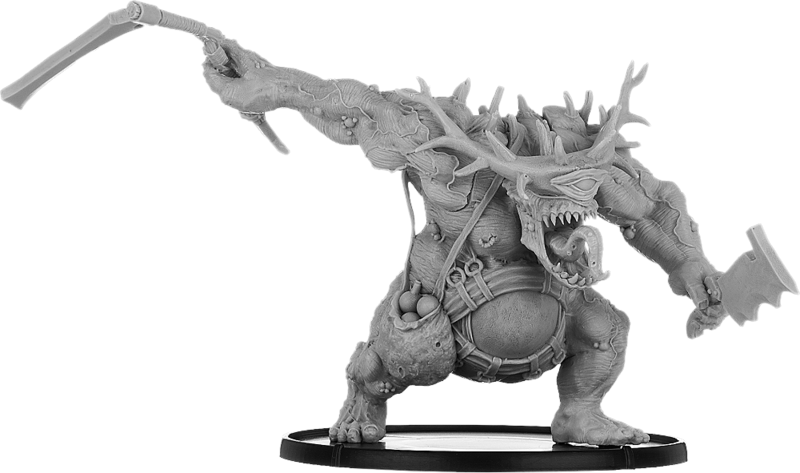 Amazingly, we've got the Werwulfas - sculpted ages ago by Stéphane Camosseto from the artwork by Danny Cruz - photographed and so available for release. These guys have been around for ages, but we always get there in the end...! The unit contains Eoric, the champion of the unit, Sigebald the bannerman, Heoruvard the herald and two warriors - Rædwulf and Wealdhere. There's also the alternate of the banner bearer, Siweard! We're beginning to resculpt some of our oldest miniatures now. 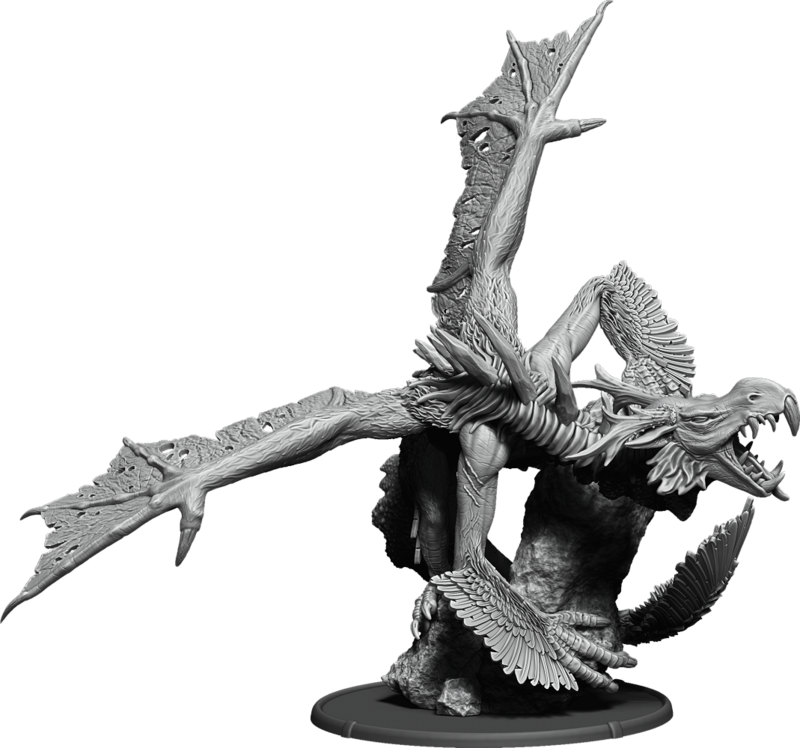 Not because we don't like the old ones particularly: but because we want to create better miniatures and ensure they're future proofed thanks to digital sculpts - meaning, they can have different versions and mounted versions very easily. Carys is one of the first to be resculpted and Bob Płociennik has taken Dan Warren's old artwork and completely nailed what could have been a tricky sculpt. There's three versions of Carys, too - Shieldwall Carys, Saethwr Carys and Helwr Carys, because there's nothing like flexibility! 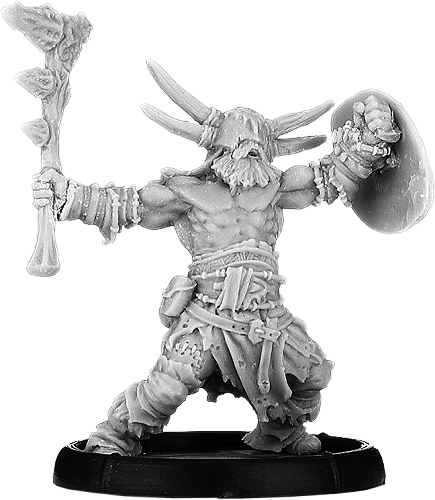 In the days of yore before it cost four quid for a pint, our first ever miniature came to be: Fulroch-an-Roch, sculpted by Alex Huntley. Fulroch-an-Roch is, shall we say, not the best sculpt technically (Alex was only a teenager at the time) but we've always loved him for his style and character: so we decided to make him again - bigger and better, but with that same style and character - using Bob Płociennik's skills to the full. We think we've succeeded, because Twroch ap Roch is, quite simply, staggeringly awesomely fantastic. Even if we do say so ourselves. Trust us: if you only buy one monster a year, this one should be it. Ages ago, Juan Navarro Pérez sent us pictures of some miniatures he'd been working on. Would we like them, he said? To which we said: do bears go to the toilet in the woods? 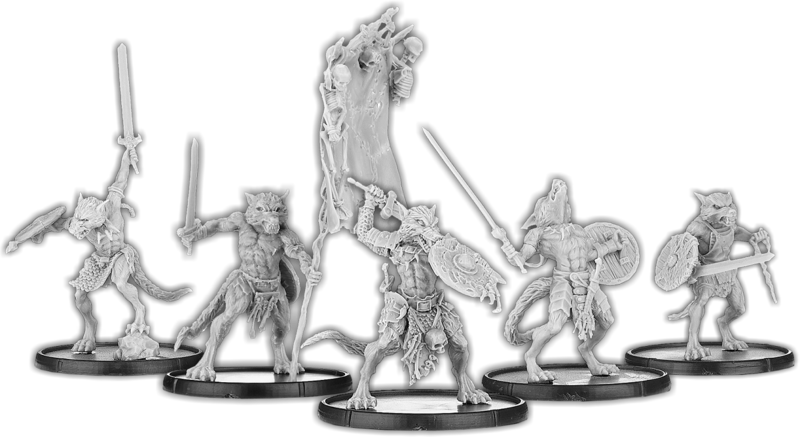 Hence, Haraald and Aastrid appeared, but it's taken us bloody ages to turn them into proper Fomoraic miniatures, and Tim Prow's skills. Still, we got there in the end! 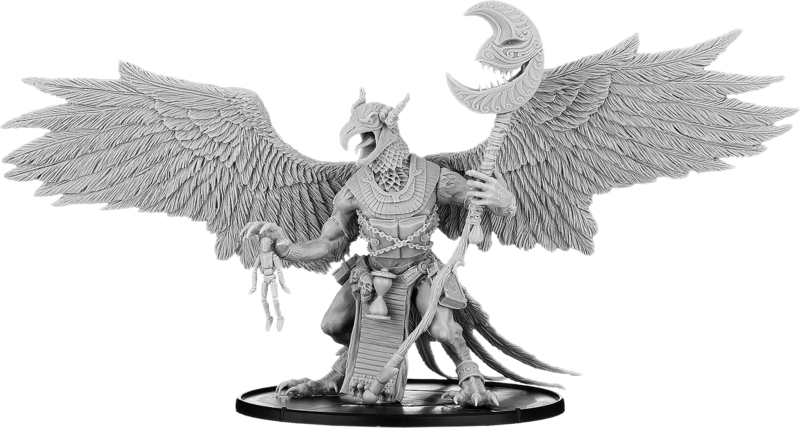 Here's the awesome new Haraald, a warlord noble for the Far Thule realm of the Fomoraic! Before you pedantic types ask, he's smothered himself in seal fat to stop the cold getting in. So there. 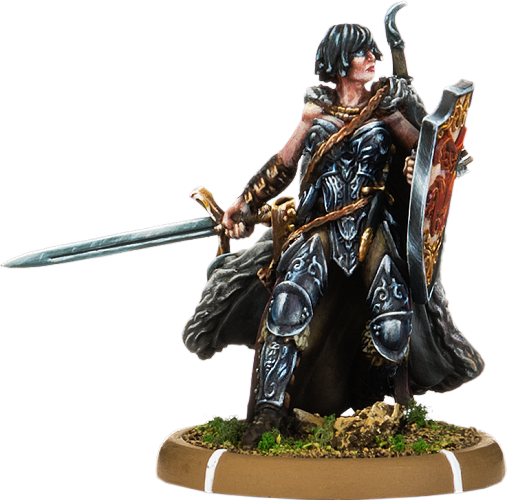 The observant may have realised by now that we're releasing new - i.e., never before seen, on Kickstarter or anywhere else - miniatures every month; Carys was really a December release, so February's new miniature release is in fact Seza. Digitally sculpted by a newcomer to our range - Jamie Phipps - she's a resculpt of the old Seza, of course, using the original artwork by Danny Cruz. She's certainly Ysian, that's all we can say, because not only is she naked (at best, half-naked) she's also rather mutated! She comes in two forms, Glaive-Seza and Spike-Seza. To save messing about, all her torso and arms and whatnot are interchangeable, and you can purchase her components right now. We've had so many requests for the unhelmed version of Kholukk we could put them all on post-it notes and cover the whole of Timmy's bald patch, which is... extensive. 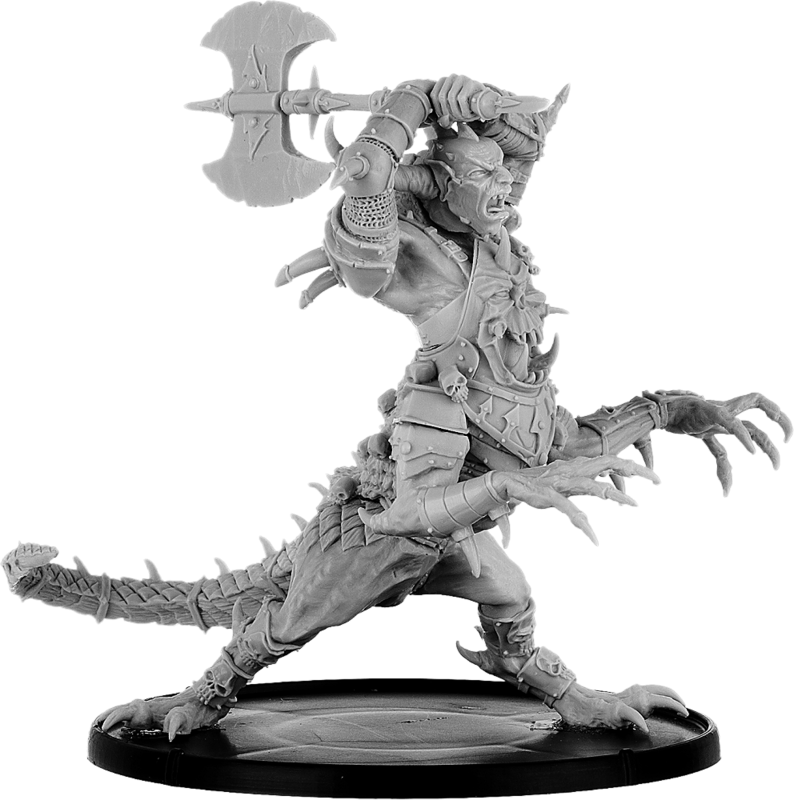 So, never ones to baulk at selling something requested, here's the unhelmed version of Kholukk, converted from the original Aradae Mawr miniature by Tim Prow. Oh, and he's swapped his hammer for a great big axe. Ouch! Slightly less requested than unhelmed Kholukk is S'hcrhro'tum-b'hoss with cleaver instead of pusling, as well as a massive eye in his forehead. Scrotumboss. Geddit? Yes, we know we're puerile. That somehow make it all right in our book. Hetseentcha is quite popular, actually, but the one-headed version is virtually unknown outside of the original project so we thought we'd get him released too. And that's all we have to say about that.